Was it a bat or a mouse? Would the school day be doomed? Too afraid to go look. Thumping hard on the wall. Oh, so what if it’s late? Who was certain to scare! A new school year to start. Searched the crannies and nooks. ’Twas a mouse, not a bat. If she’s happy ’bout that. Ticonderoga Black Pencils As a writer and homeschool mama, I have become totally snobbish about pencils. I absolutely detest pencils that fall apart as I sharpen them or — worse yet — have erasers that don’t actually erase! These black #2 pencils are durable, write smoothly, and have excellent erasers. Ticonderoga Pencils are now the only writing pencils allowed in our house, except the occasional mechanical pencil. 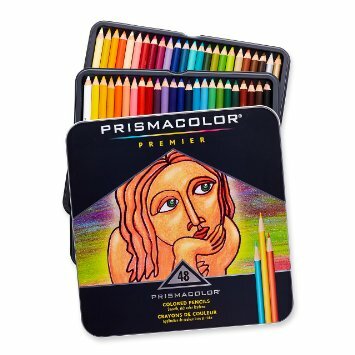 Prismacolor Premier Colored Pencils My children’s favorite art teacher once encouraged us to buy these colored pencils, and I am forever thankful. Their colors are splendid and so vibrant! These will totally ruin you on ever using inexpensive colored pencils again. Kleen Slate Dry Erase Paddles and Markers I bought these mini dry erase boards and markers last summer and they are a big hit with my 3rd grader and 6th grader. They are the perfect size for students to handle and they have a nifty spot that holds the marker, which includes an eraser on the end of the lid. Genius! We bought ones that have a graph side and a blank side. The graph side is especially useful during math lessons. Norwex Enviro Cloth This microfiber cleaning cloth allows me to clean using no chemicals — just water. Silver fibers make the cloth antibacterial. 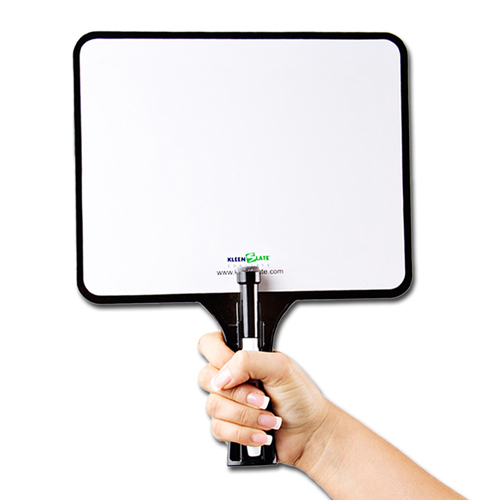 It works great on most surfaces — including mirrors. Norwex Window Polishing Cloth I use this cloth to polish mirrors and windows after I clean them with the Enviro Cloth. My husband steals it to use on the inside of the car windows. It works well and does not leave behind annoying streaks or lint. Norwex Microfiber Dusting Mitt To be honest, my daughter uses this more than I do. It is a super-absorbent mitt that works wonderfully. DaySpring sticky notes Am I the only one who loses entire pads of sticky notes amongst the clutter on desks or countertops? 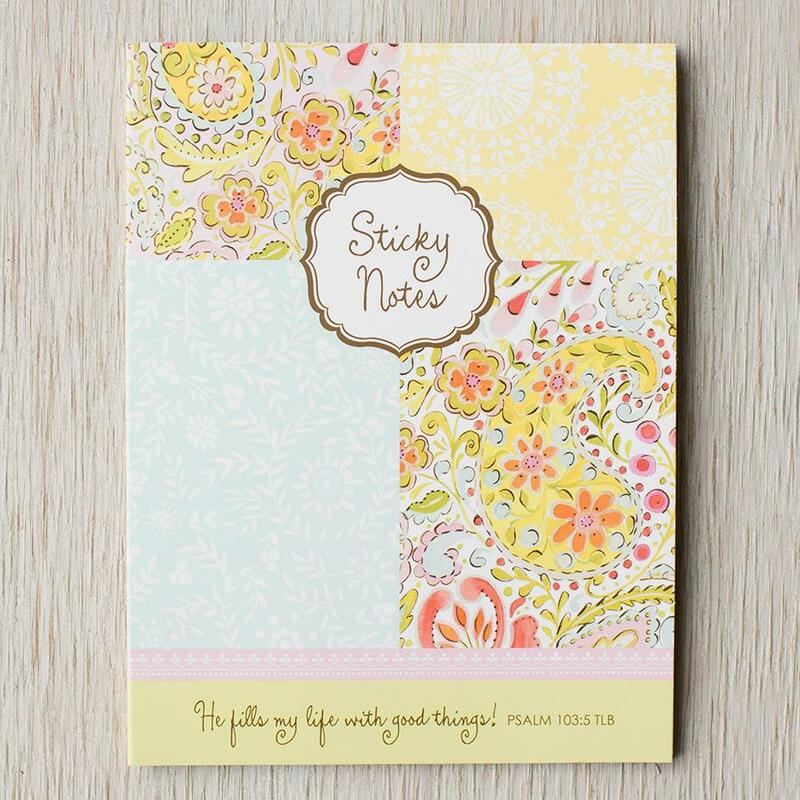 These are such pretty sticky notes, and because they are held together in a nifty 6 by 8-inch folio, they are much easier to find. 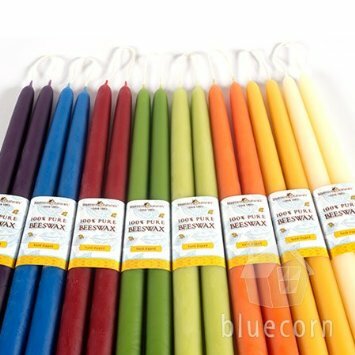 Bluecorn Naturals 100% Pure Beeswax Tapers These tapers were recently a gift we received from a dear friend, and our family enjoys having them lit during dinner time. They burn for one hour per inch of length, plus they are paraffin-free and lead-free and handmade in Colorado. I want to try their tea lights next. Mpix Quality Prints As the granddaughter and niece of professional photographers, I inherited rather lofty expectations in terms of photo finishing. Both my grandpa and my uncle used Miller’s Professional Imaging, which was founded in 1968 and is this country’s largest professional photography lab. Mpix is a division of Millers, and it does an outstanding job with print quality, not to mention the speedy turnaround time. 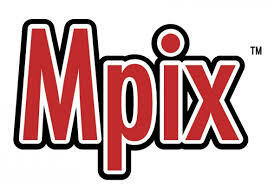 Mpix prints all my 4 x 6 photos, enlargements and canvas prints. It does take some time to upload images and wait for the box to arrive, but the exceptional quality of the end result makes all that worthwhile. These are a few of my favorite things! What are some of yours? It’s spring! Or at least it feels that way because the temperature is in the 50s, birds are singing, the snow is melting and the days are getting longer. Never mind that my children are off snow skiing today and folks are still out ice fishing on the lake — with their big trucks parked on the ice. Never mind that. It’s spring! To celebrate, I am sharing a few of my favorite things. No, I won’t break into a song about raindrops on roses or whiskers on kittens. I am so not Julie Andrews. Nor I am being compensated to tell you about these things. I just like them and thought you might enjoy them, too, either for yourself or for someone you love. All items are made right here in Minnesota, but otherwise it’s a pretty random list. 1. Lume Soapworks Butter Bar: I received my first bar of this in a gift basket from a dear friend, and it really does make my skin feel like a million bucks. Physician-formulated, the bar is 20% shea butter and features essential oil scents, including a light lemon scent that is so refreshing. It feels very luxurious on your skin, and it is made in Chaska, Minn. by the sister of my dear friend. The cost is $5.49 for a 3.5 oz. bar or $19.99 for a four-pack. 2. 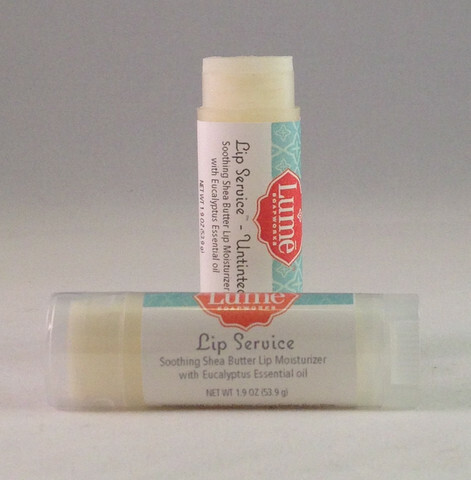 Lume Soapworks Lip Service: This shea butter lip balm, also in that gift basket I mentioned, makes my lips super happy. My daughters love it, too. 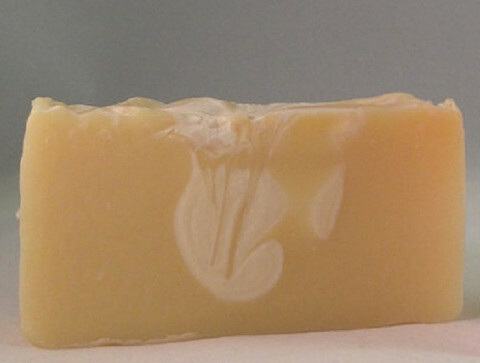 It includes cocoa butter, castor oil, sunflower oil, Vitamin E, and eucalyptus and peppermint essential oils. I especially appreciate the container’s oval shape, which fits lips much better than the usual circle shape. Available tinted or untinted, this is also made in Chaska, Minn. by the sister of my dear friend. The cost is $3.99. 3. 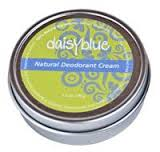 Daisy Blue Natural Deodorant Cream: Scented with lavender and spearmint essential oils as well as rosemary extract, this natural deodorant cream is a mixture of baking soda, shea butter and other oils. It smells wonderful and, most importantly, it really works. It is made in Albert Lea, Minn. The cost is $9 for 1.5 oz. 4. 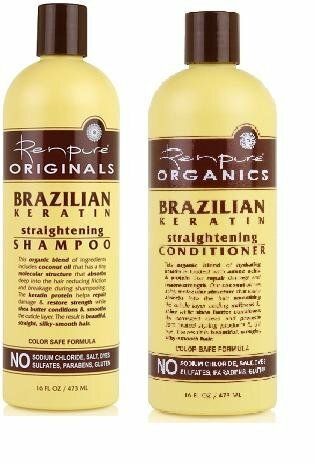 RenPure Originals Brazilian Keratin Shampoo and Conditioner: I have been looking for a while to find affordable, paraben-free hair care products, and I think I’ve finally found a favorite. These products combine coconut oil, keratin protein and shea butter for smooth, frizz-free hair. Plus, they smell fabulous. These are made in Mound, Minn. The cost is $4.99 for a 16 oz. bottle. 5. 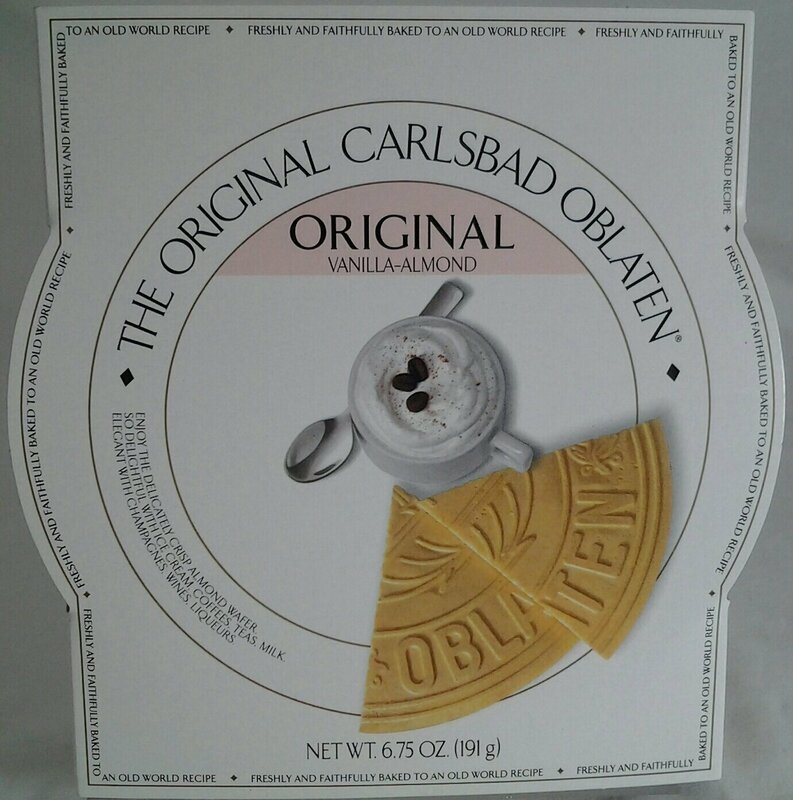 The Original Carlsbad Oblaten: These delicately crisp wafers are perfect with hot cocoa, ice cream, hot tea or coffee. My family adores them because of the powdered sugar in the middle. The vanilla-almond flavor is our first choice, but they come in many flavor varieties and are made in New Germany, Minn. from a 200-year old recipe. The cost is about $15 for a 6.75 oz. gift tin. 6. TeaSource Georgia Sunshine: Oh, how I love this tea! 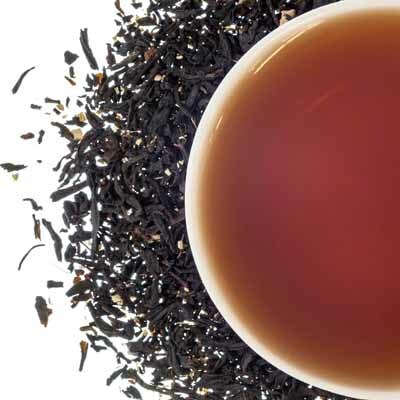 This loose leaf tea is a fine Ceylon black tea that combines ginger and peach flavors. It’s simply fabulous. The tea is obviously imported, but TeaSource is based in Roseville, Minn. and specializes in importing, blending, warehousing, and sales of tea. They ship tea everywhere and have retail stores in St. Paul, St. Anthony and Eden Prairie, Minn. The cost is $4.64 for 2 oz. of loose leaf tea, which makes about 25 cups. 7. Truffle Hill Chocolates: These hand-made chocolates are quite delectable and make a fabulous gift for any chocolate lover. Their cute little retail store sits atop a hill near Lake Minnetonka in Excelsior, Minn. and they will ship chocolates out of state. The cost depends on how much you love the chocolate-lover. 8. 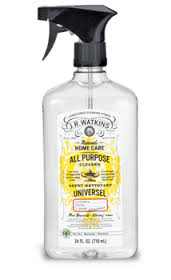 J.R. Watkins All-Purpose Cleaner: What a terrific lemon scent this cleaner has! I mostly use it in the kitchen, and I appreciate that it is non-toxic and ammonia free. It is made in Winona, Minn. The cost is $4.99 for 24 oz. 9. 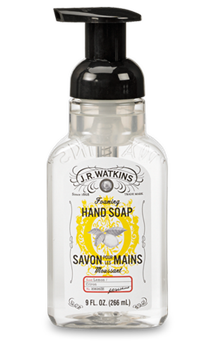 J.R. Watkins Foaming Hand Soap: Fragranced with essential oils, this mild soap is perfect for the kitchen sink. It cleanses and gently moisturizes. It is also made in Winona, Minn. The cost is $4.99 for 9 oz. 10. 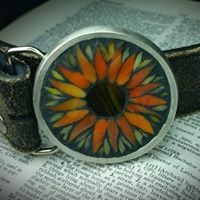 Broken and Beautiful Mosaic Jewelry: These lovely pendants, ornaments and belts are made by an amazingly talented friend of mine. Each piece is a work of art. Items are available at Uptown MN in the Mall of America, Art 2 Heart in Hamel, Minn., and Unearthed Arts in Waconia, Minn. I hope you find a new favorite thing. Happy spring! 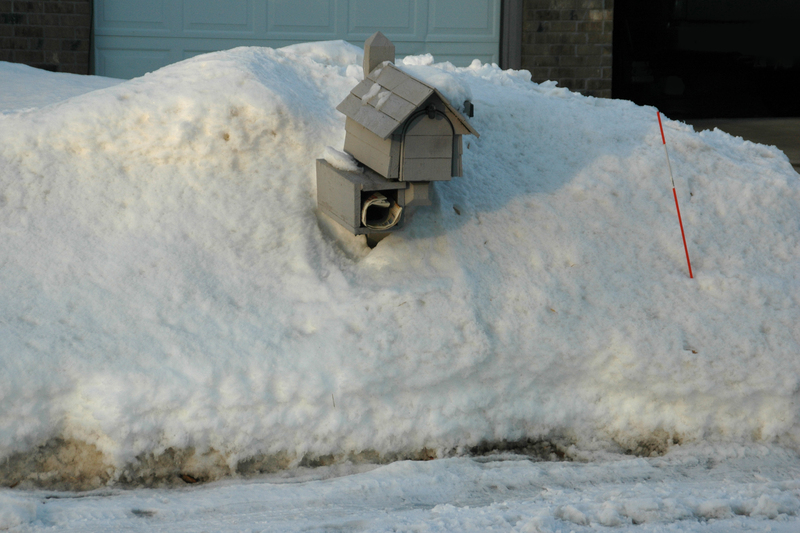 Below is my mailbox on Jan. 19, buried in snow. 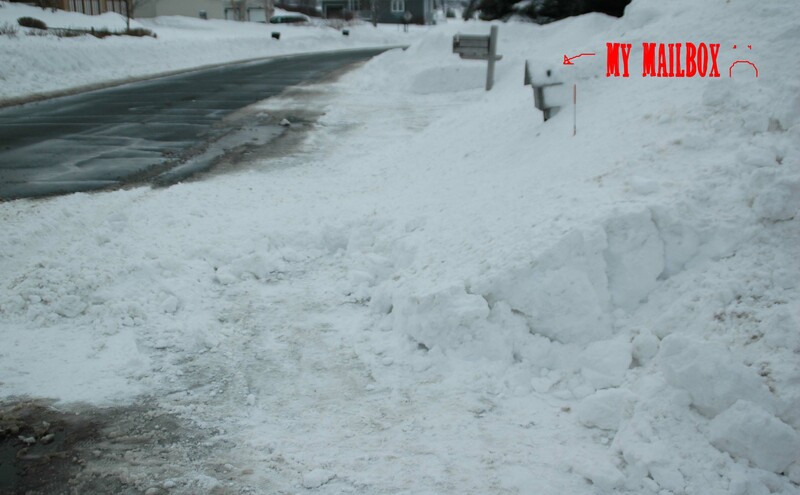 Below is my mailbox on Feb. 17, completely swallowed up by something that resembles a glacier. 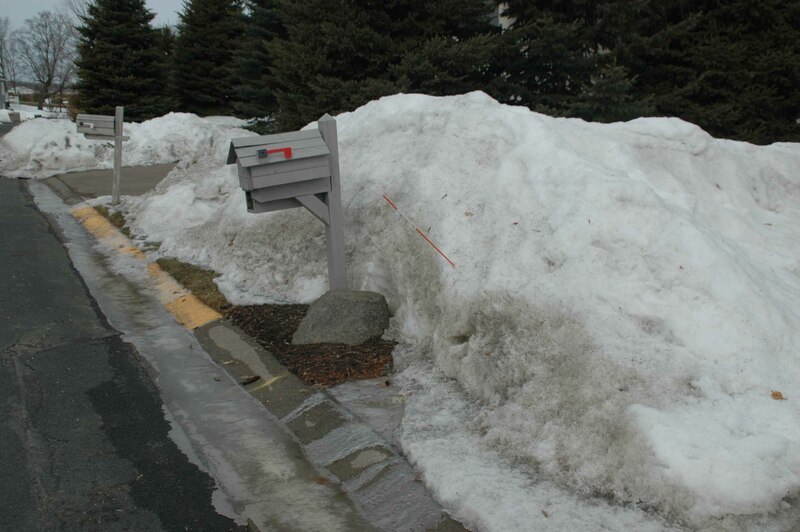 Below is my mailbox on March 5, somewhat more accessible. And here is my mailbox today, March 15, looking very official. 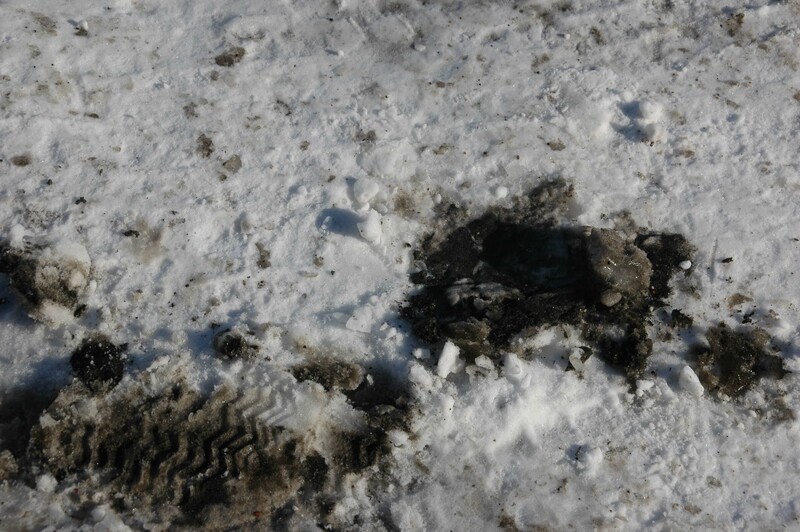 It’s been so long covered in snow that I didn’t even remember there was a rock near the base of the mailbox. 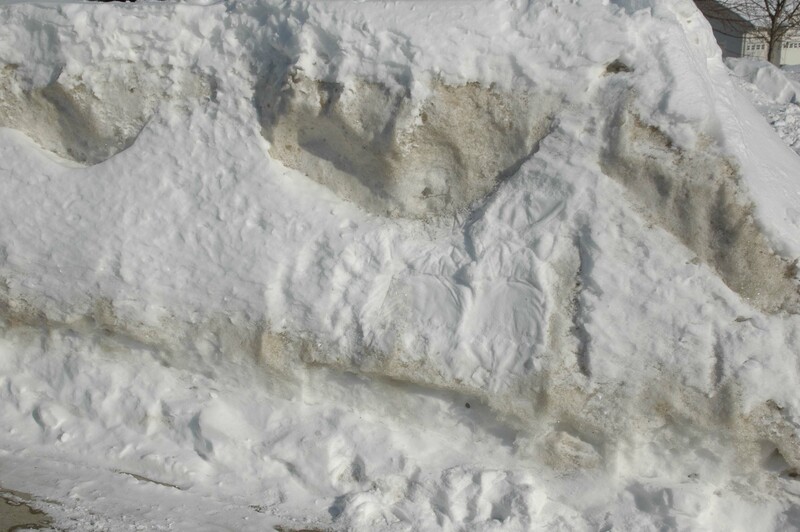 And please note that the grass is peeking through the snow along the curb in the neighbors’ yard. Grass! 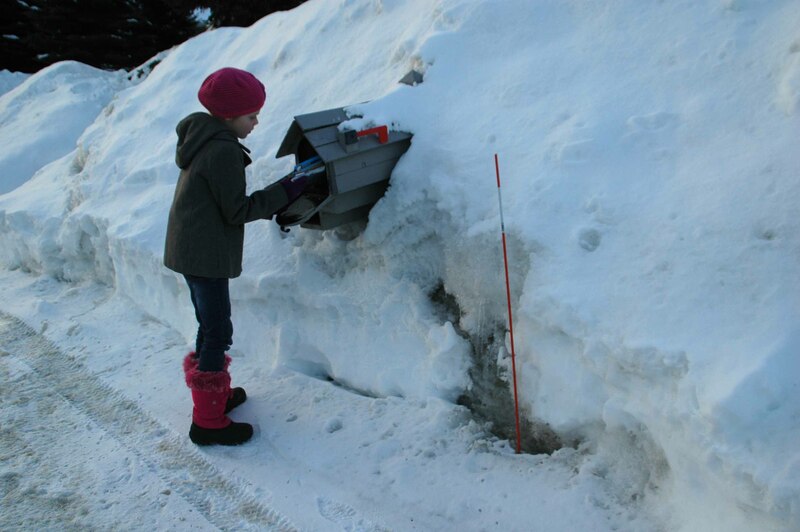 Yes, the mailbox meltdown is fully underway, and spring has shipped! Well, prepare to be astounded, ladies and gentleman, because I took a pile of junk food and invented something that astounded myself. I say this with utmost giddiness because I’m a journalist married to an engineer and rarely get to invent much of anything except stories and an occasional logo. Necessity breeds invention and as a transplant to Minnesota, I’m here to tell ya, s’mores are a summertime necessity. This is a cabin-crazed, bonfire-loving culture. But how does one keep the key ingredients easy to find and easy to transport from kitchen to fire pit when the fire finally reaches its s’mores-perfect status and children begin begging and drooling? This attractive caddy holds two bags of marshmallows, a dozen Hershey bars and 27 graham cracker sheets. Don’t worry. I doubt I’ll be seeking a patent. Technically all I did was spend $11.99 on the caddy at Target and then borrow a black Sharpie from my 10-year-old. 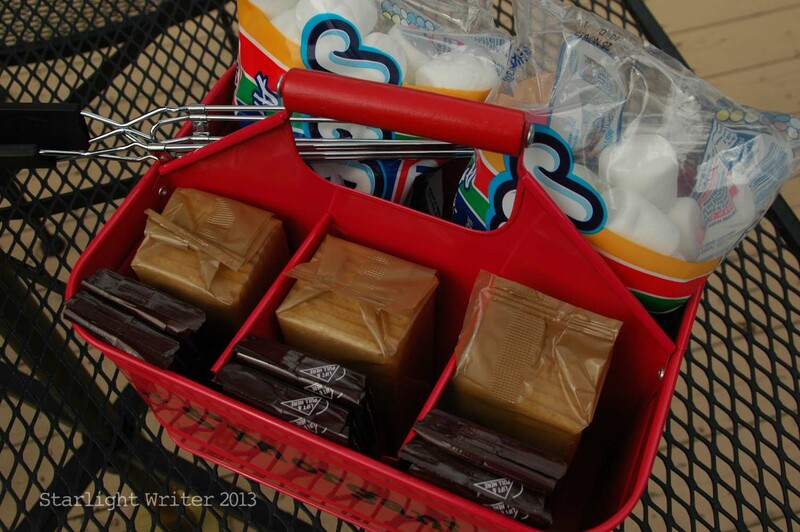 But let me assure you I’m taking full credit for inventing the word s’morganizer. 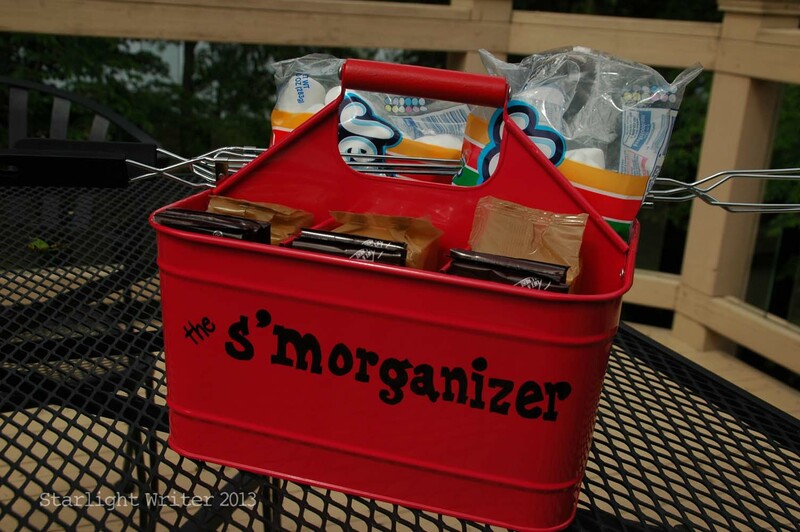 Perhaps next year my engineer hubby will introduce the new and improved s’morganizer 2 featuring a cool way to keep the Hershey bars below 86 degrees en route to the cabin. But until then, I should simply mention that no Hershey bars were consumed in the making of this invention or in the writing of this blog post. That, folks, is the real miracle here. 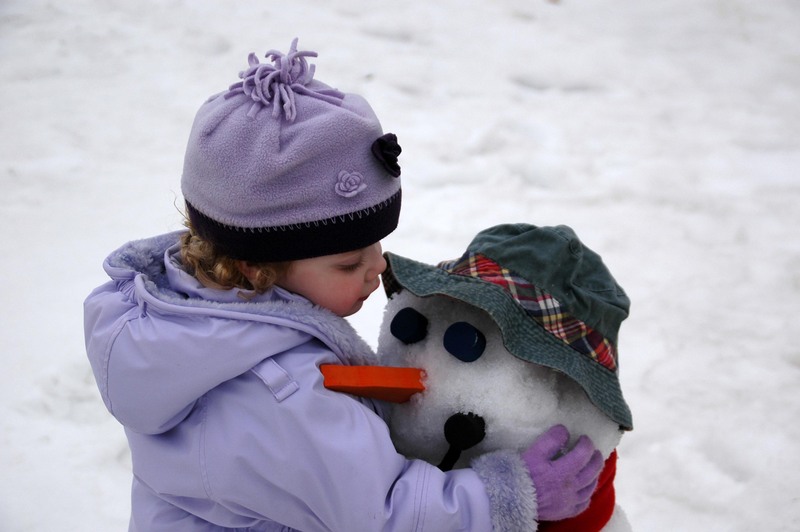 If you’ve ever been excited that it is finally warm enough to make a snowman, you might be a Minnesotan. 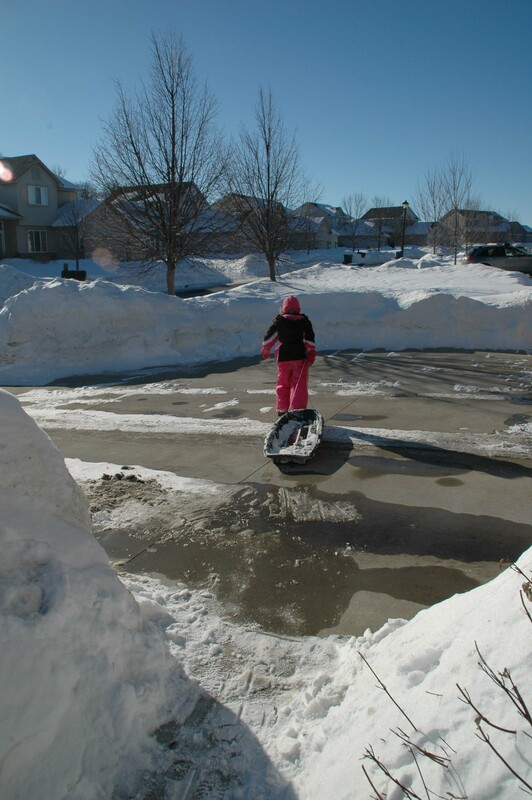 If your 4-year-old has ever lamented that it is too “deep” to play outside, you might be a Minnesotan. If you’ve ever stepped outside in 6-degree weather and said somewhat casually, “Why yes, I think it does feel warmer,” you might be a Minnesotan. If you’ve ever considered 28 degrees something akin to room temperature, you might be a Minnesotan. If you’ve ever had a conversation about the nuances of thermal underwear in an elevator, you might be a Minnesotan. 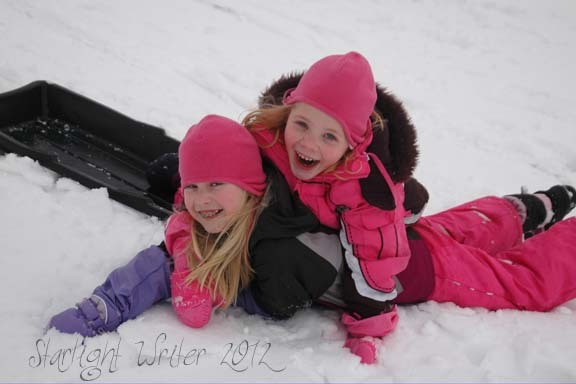 If you’ve ever devoted an entire blog post to quips about snowy winter weather, you might be a Minnesotan. 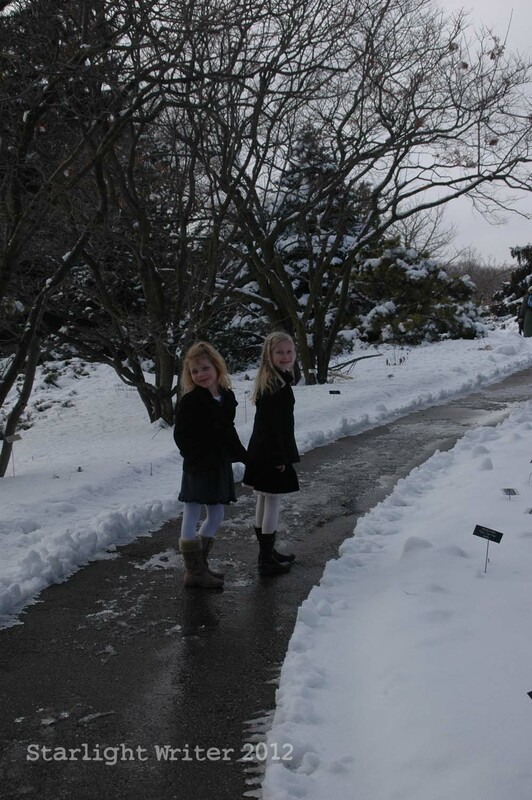 NOTE: We are feeling a little snow-deprived here in Minnesota, which is odd for January. 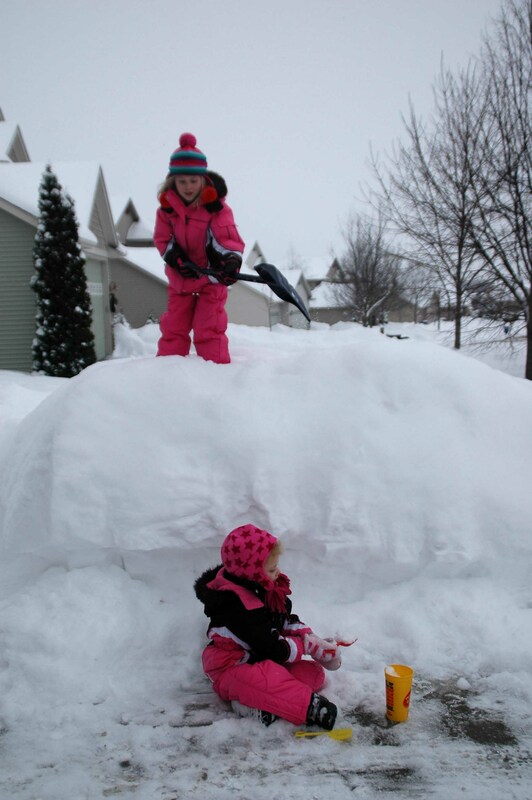 So, to keep things in perspective, I’m reposting this fun blog post from a few years ago when we were buried in much snow. 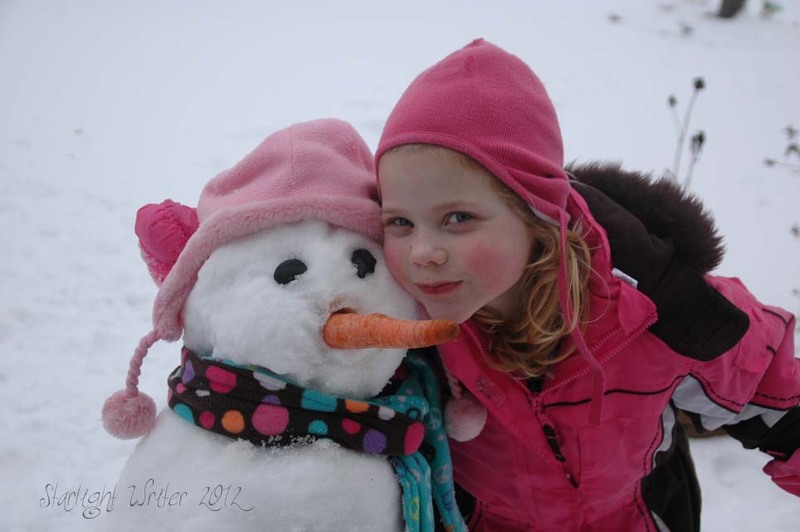 Drawing on my personal snow experience that has accumulated over 15 Minnesota winters, I’ve compiled this brief snowcabulary list of seven snow-related words — complete with pictures of course! 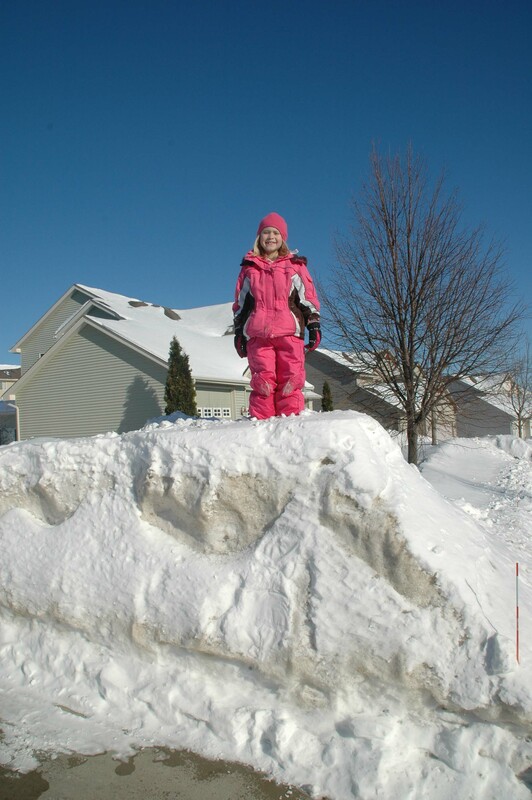 Dirty snow is not pleasant to behold, and it often causes Minnesotans to wish for some bright new snow, just to freshen things up again. We love snow plows, but they do tend to create heaps of black snow along the highways, not to mention the enormous mountains of black snow they pile up in parking lots. 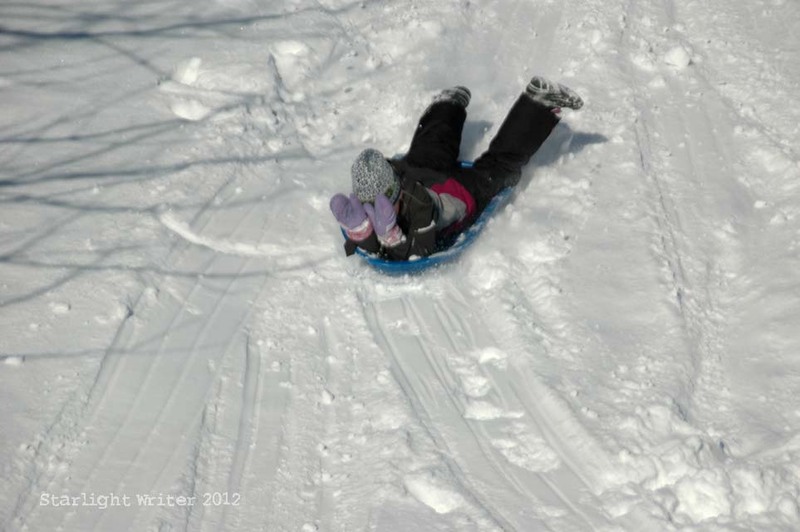 Hanging down and frozen to the underside of vehicles, snow boogers seem to defy gravity. 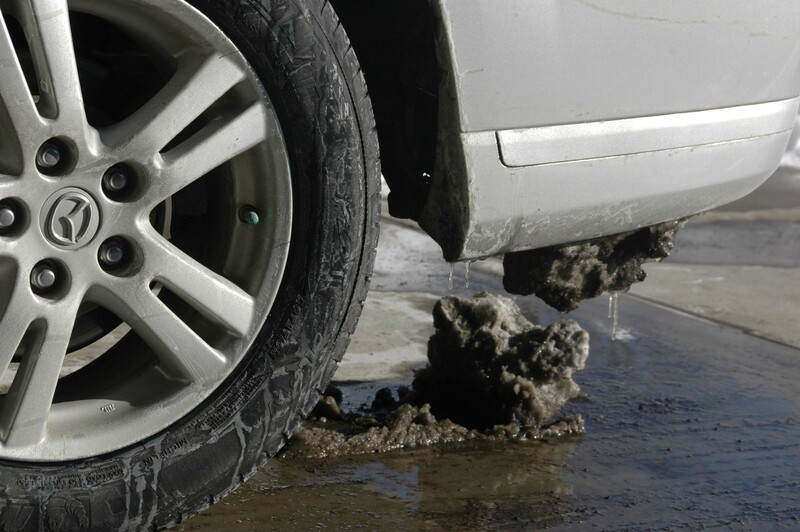 Heartily kicking snow boogers off your vehicle helps vent any dirty, frustrated feelings you may have collected toward winter weather. When it’s mid February, and you haven’t seen the grass since early November, and you’ve worn your snow shovel and snow blower to nubs, you lower your standards. 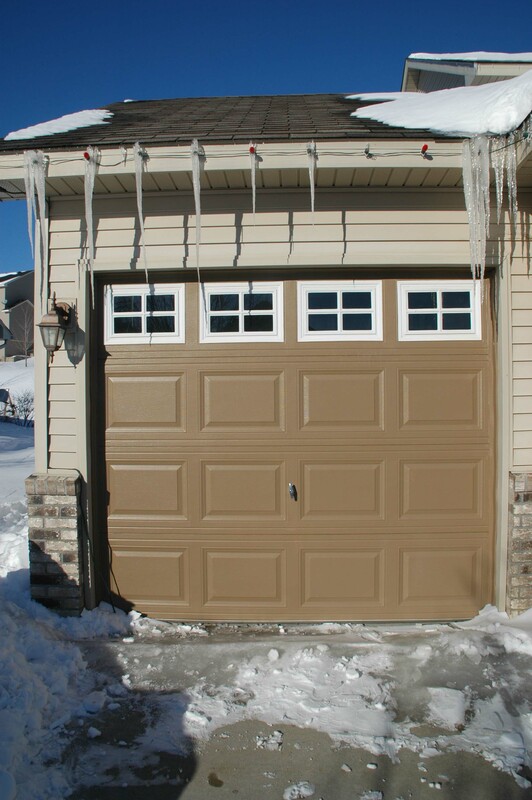 You just accept those especially stubborn sheets of icy, snowy stuff that clutter up an otherwise “clear” driveway. You just pray they’ll melt on their own sometime in May. The area in front of our third garage stall is a death trap. Areas like this are the primary reason you can still find Christmas lights up in late March. Nobody wants to climb a ladder here! 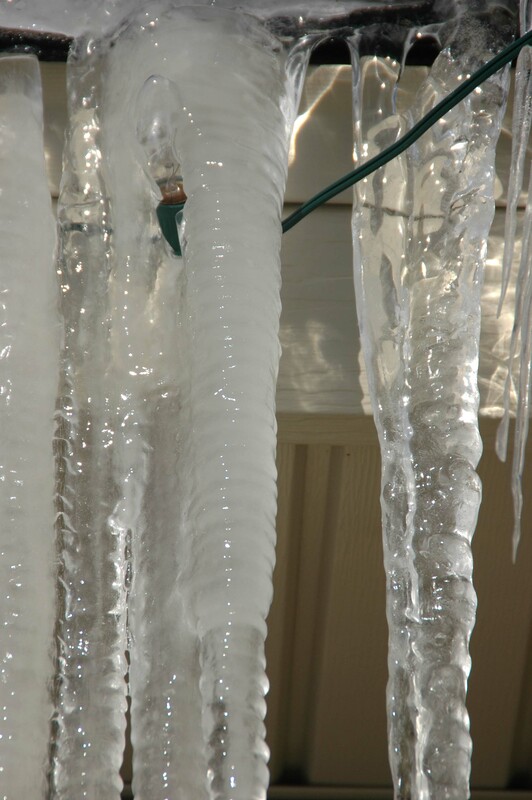 Light-cicles are the secondary reason you can still find Christmas lights up in late March. The intertwining mess begs for a meltdown. 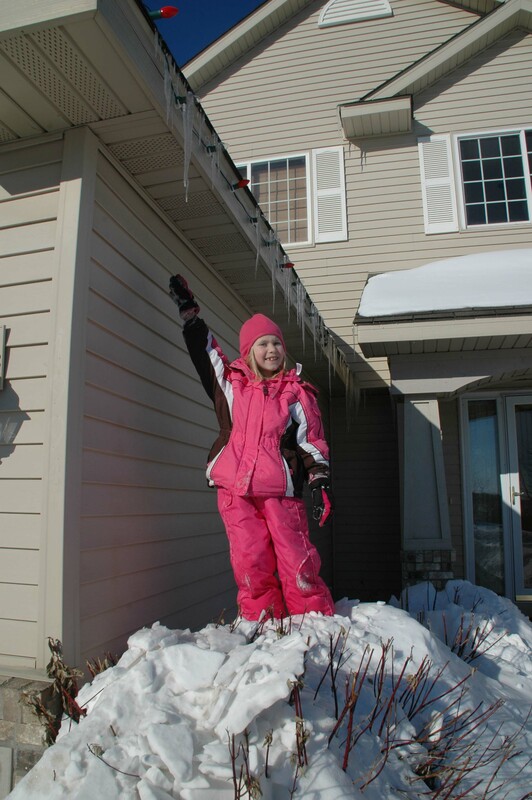 This snow-verwhelming bush is an excellent tool for elevating young climbers. Never mind what I said about Christmas lights in March; I think my 8-year-old can probably reach to pull them off the house. And while she’s out there, I think I’ll have her dust the tree tops — just for good measure. 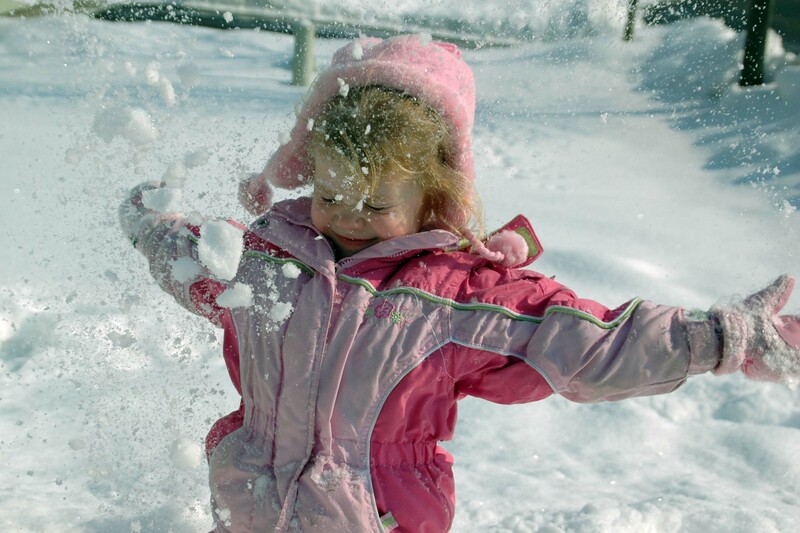 Enjoy your snow-verwhelming weather down south, and don’t drive anywhere!